Home >> Voetprint cooking homepage >> Voetprint Cooking – Order the book! 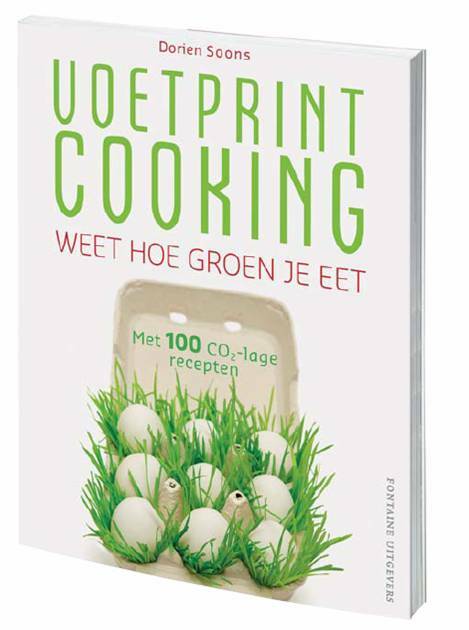 Voetprint Cooking – Order the book! Know how green you eat! VoetprintCooking Would you like to order an example? That is possible at www.bol.com (Voetprint Cooking). The price of the book €17,95 + shipping costs. Nice if you send me an email (dsoons@planet.nl) with your opinion about the book. Would you like to know what the impact is of what you are cooking? In the item was also said that eating cheese is not well for the environment either. Than I was thinking, what will all the Dutch think now? “It is of no use anyways….”. So, that is when I started to investigate all this. Well, it did not appear to be so simple, like is soy allright or not? What are the pros and cons of Valess? And how do I find the time to explore all this? Luckily, you do not need to, you only have to read this book! !